MILWAUKEE – Sept. 19, 2018 – Baird, an international, employee-owned wealth management, capital markets, private equity and asset management firm, announced today that it has added David A. Thuli, Senior Vice President, CFP®, to its Milwaukee wealth management office. Industry veteran Thuli brings 17 years of experience to Baird. 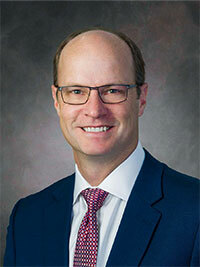 Most recently, he served as a financial advisor in the Milwaukee market. He is a graduate of University of Wisconsin-Madison where he earned a bachelor’s degree in consumer science. Thuli and his wife, Beth, reside in Wauwatosa and have three children.